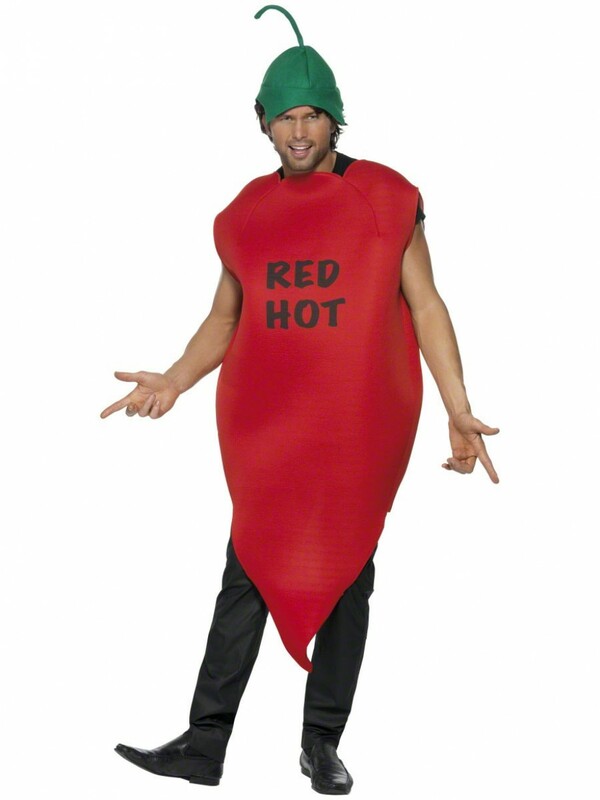 ‘Red Hot’ Chilli Pepper body suit in a padded material & hat. 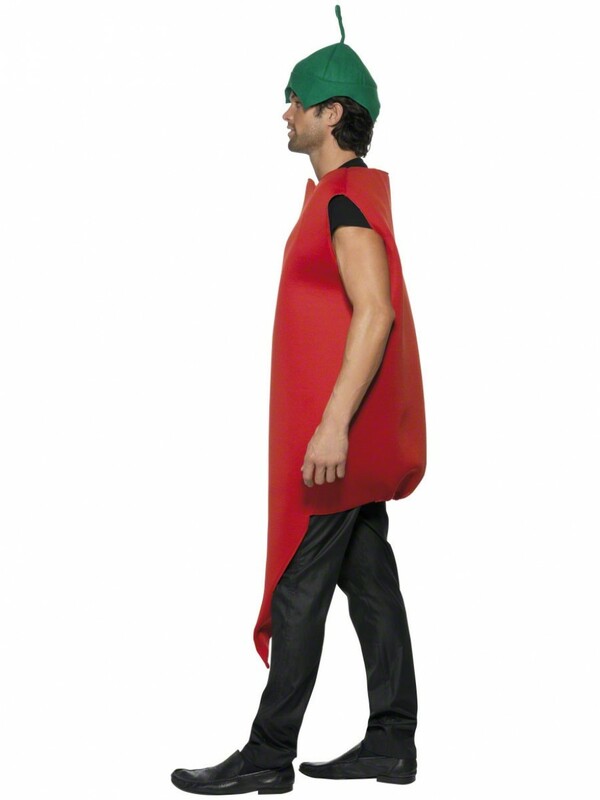 Popular for Stag dos or any funny fancy dress theme. A one piece chilli pepper design bodysuit, with ‘RED HOT’ writing on the front, as pictured. The material is padded in a bright red colour and simply pulls over, with holes for the head, arms and legs. To complete the look, a fun green stalk hat is included, in a felt material. 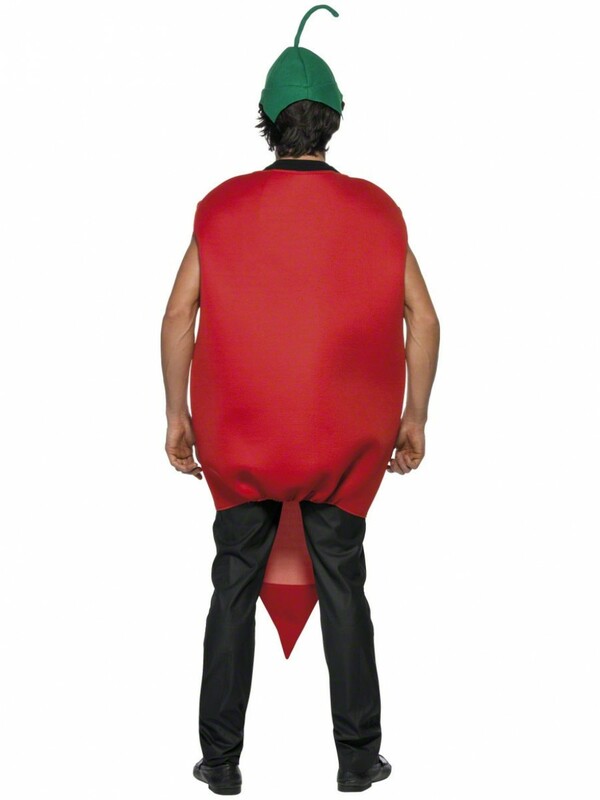 A comedy costume, which is popular for Stag dos or any fun fancy dress occasion.